One of the caveats of running your own business is that it can be hard to plan a break… especially if you work with clients on retainer. But taking vacations once or twice a year (or more) is important to your creativity and your mental health. When you have regular tasks to complete each day or every week for your clients, taking a vacation means working ahead. That can mean a little extra stress in the weeks leading up to your vacation. But if you plan for it, it’s not unmanageable. And the vacation is definitely worth it. Here are a few things I’ve learned over the years that make it easier to take a truly disconnected and relaxing bit of time off of work. Let your clients know well in advance. I have a big trip coming up this summer and I’ve already started letting my clients know that I’ll be away for a couple of weeks in July. I’m also taking next week off — in that case, I let everyone know two weeks out… and that was only because it snuck up on me. Make a list of everything you would do or turn in that week if you were working. Some things you’ll be able to get done early. Other things, you may need to delegate. Figure out which is which. For the items you need to delegate, reach out for help at least two weeks in advance. A month is better. For the items you need to do before you leave, spread them out across your calendar so you’re not cramming everything in the day or two before your time off starts. 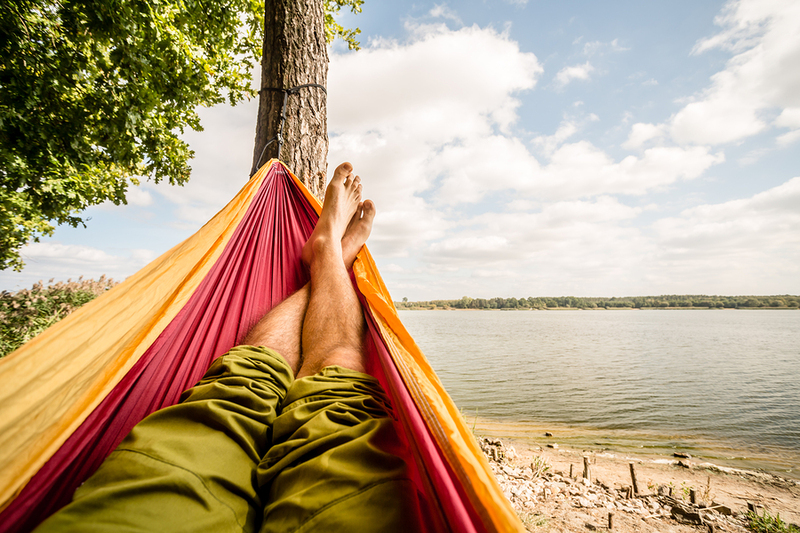 By delegating what you can and doing everything else a little bit at a time as your vacation approaches, you can take time off, knowing you’re covered and without working yourself into exhaustion. Pre-planning is the recipe for a vacation that’s actually relaxing and re-energizing. I’d love to hear your own take on preparing for time off around the needs of your clients. Share your tips in the comments! Don’t forget to check out the current Practice Assignment. You still have a week to put your thoughts and your imagination into coming up with a social media plan for a fictional business. All the details are here. Join in the fun… and get a little social media strategy practice in while you’re at it. Sometimes, your skill at writing can lead you to unexpected places. In his latest Reality Blog, Andrew Murray shares a story of how his Money-Making Website put him on the front line of a major environmental issue happening in Australia… and what it’s been like to swap his content writing hat for an investigative journalist one. March 28: Email is one of the highest return marketing methods there is. But for email marketing to work, you need a good list. Learning to build a list for yourself and for your clients will give your perceived value a big boost. Brian Edmondson is one of the top list-building experts in the industry, and he’s joining us to share some fun, effective methods to grow a list. March 29: Social media marketing has become a necessity for companies that want to succeed online. And our most recent Practice Assignment is all about putting together a social media marketing plan. During this live session, I go over submissions from your fellow web writers to help you see how to write a strong, effective social media marketing plan. April 5: Our next Monthly Member Update is just around the corner. During April’s meeting, I’ll talk about three things you can do to become a better writer and marketer. Plus, we’ll explore top content on Wealthy Web Writer, get a sneak peek at things to come, and get your most important freelance web-writing questions answered live. When you produce content on a regular schedule, there’s a chance you’ll run into burnout. Here are some ideas to keep you inspired. Change is a constant. And it can be stressful. But more than that, change is something to seek out, not avoid. Here are 12 reasons why that’s true. If you’re writing a blog, you’re going to want some evergreen content in the mix. Try out these nine proven formulas. Want to build a better social media following? Here are some ideas from Digital Marketer.